The pork was so tender, I didn’t intend for it to end up like pulled pork but when I started cutting it just happened! The pictures don’t’ do this dish justice, I would definitely recommend this meal. It was full of flavor and so easy to make! 1.) 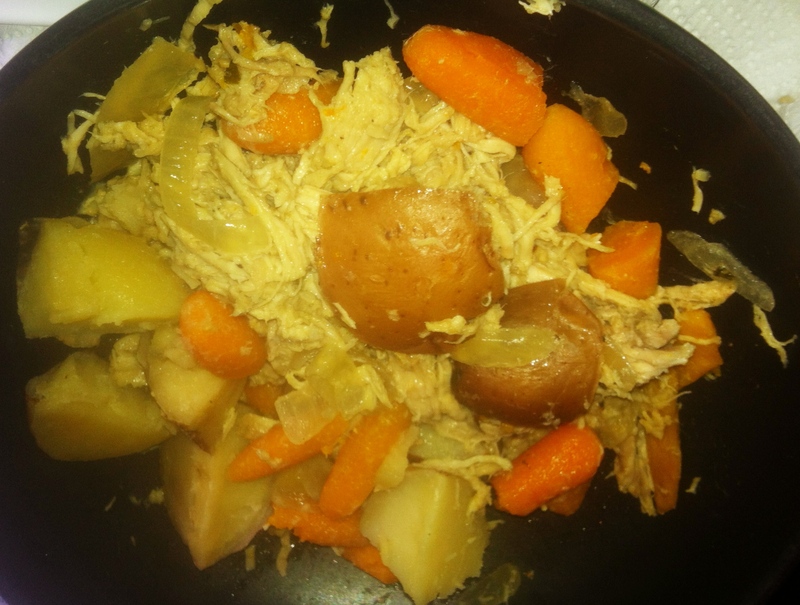 Place potatoes and baby carrots around bottom edge of 4-6 quart crockpot. Place onion and garlic in bottom of crockpot. In small bowl, combine mustard, tarragon, thyme, salt and pepper and spread over pork roast. Place roast in crockpot and pour beef broth over all. 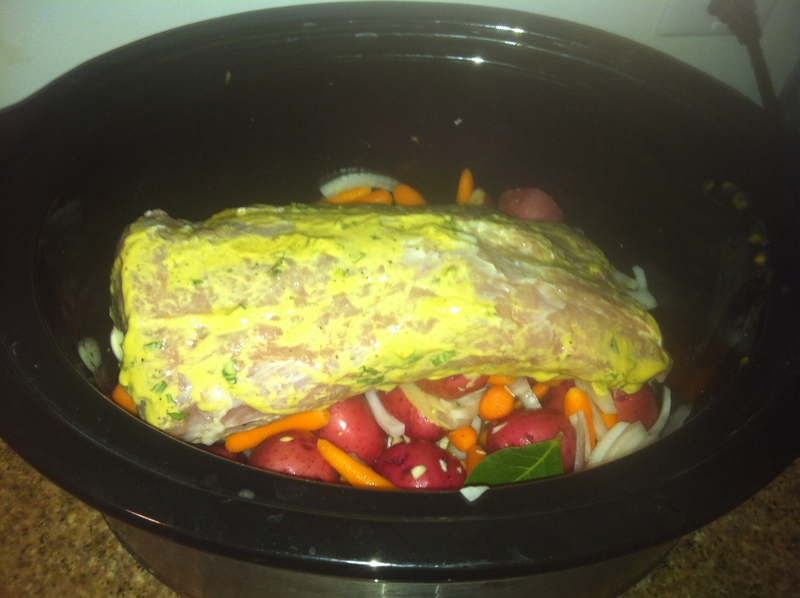 Cover crockpot and cook on low for 9-10 hours 2.) Remove pork and vegetables to serving platter; cover and let stand 15 minutes. 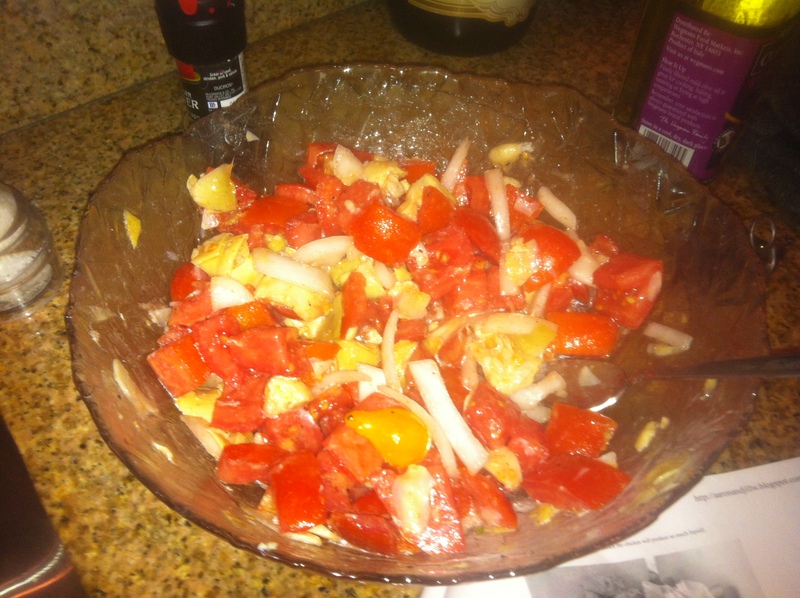 During this time you can thicken the juices by mixing 1-1/2 tablespoons cornstarch with 3 tablespoons water. Add to the juices in the crockpot and cook on high for 10-15 minutes until thickened. 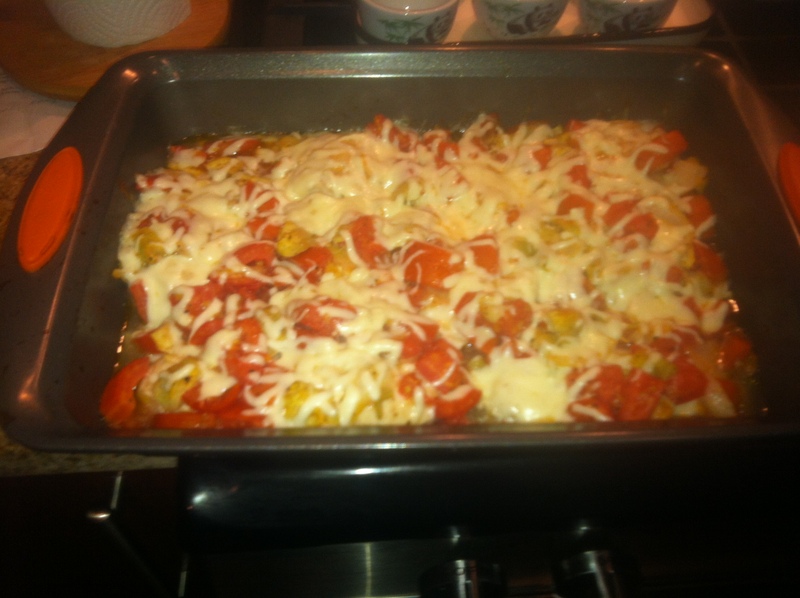 6) Put the oven on broil, take the chicken out and add mozzarella cheese, broil until the cheese has melted. Let the chicken rest for 5 minutes. 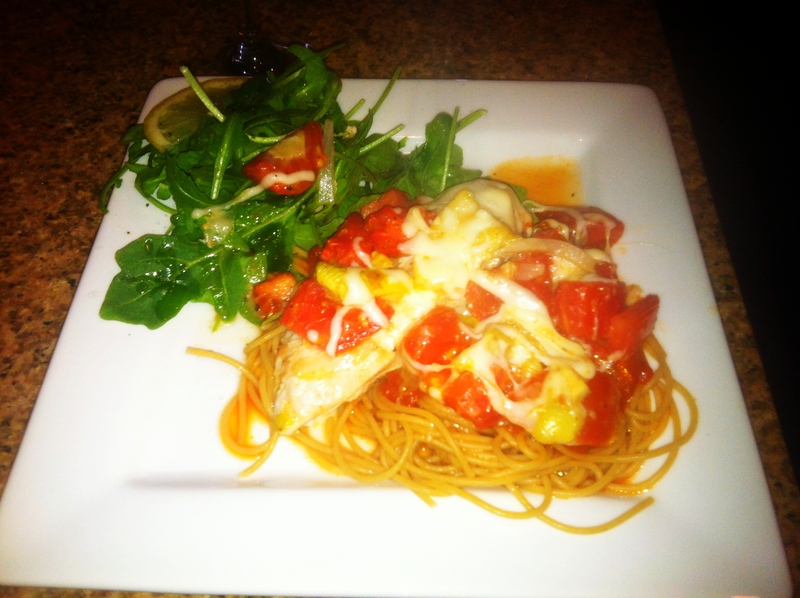 8) Place the chicken on top of the pasta along with the extra juices and tomato mixture. Drink with a glass of red wine and enjoy!